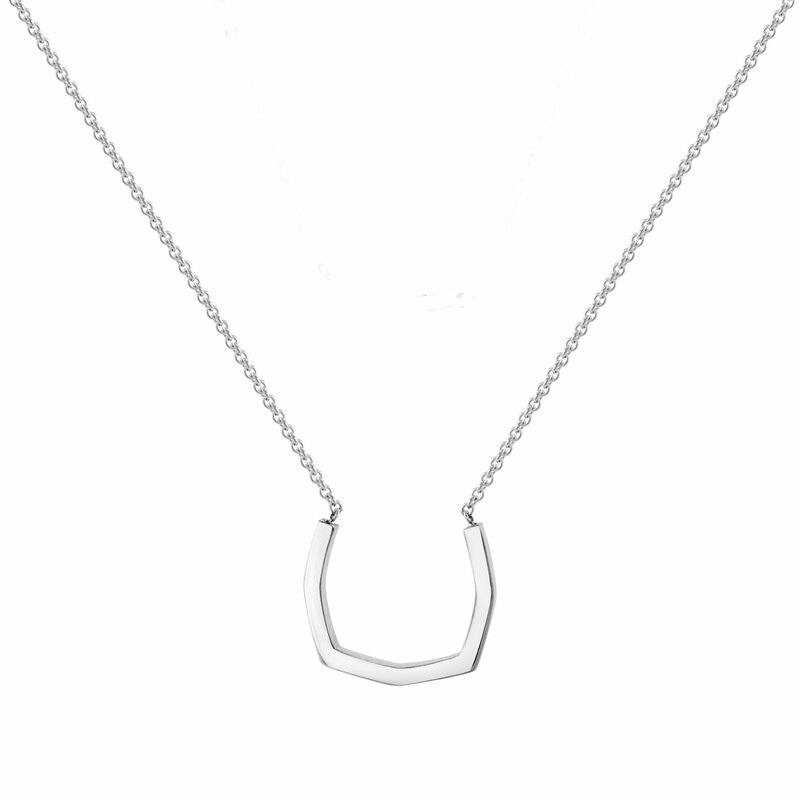 Sterling Silver Polished Open Geometric Shape Necklet. Fixed onto a 20" trace chain (gauge 1.55mm) with extender at 18" fitted with a 6mm bolt-ring catch. The shape measures 20mm at the widest point, 2mm deep and 3mm deep. Standout this season with sophisticated minimalism. Often seen as a number associated with luck and prosperity, the number eight displays perfect symmetry. 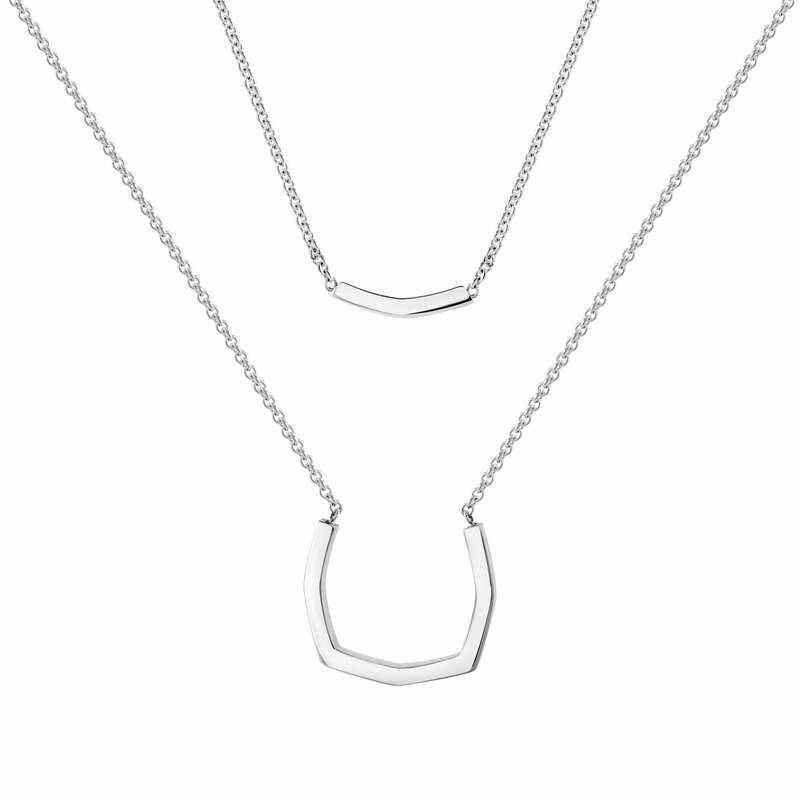 BIJOUX VIII uses a created eight sided shape, this accomplishes a beautifully balanced range of geometric jewellery. Layering is the name of the game! Stack your BIJOUX pieces, one on top of the other, to create a look thats individual to you.